The pharmaceutical industry needs top quality monitoring equipment. Australia’s pharmaceutical industry is massive. With IBISWorld recording nearly 1,500 business in wholesaling alone (and nearly 400 involved in manufacturing), there is a series of complex relationships that result in products changing hands, vendors and countries on rapid turnaround times. From manufacturer to patient, the journey is long and winding. Factor in the globalised nature of the pharmaceuticals industry and this sector’s supply chain faces some unique challenges. With such sensitive materials passing between countries by air, sea and land, how can you guarantee the safety and efficacy of your products? The journey of a pharmaceutical product begins long before the manufacturer. Raw materials begin with suppliers, from whom manufacturers secure what they need to create compounds. They then transport this to distribution centres, then on to wholesalers, and finally to local pharmacies. 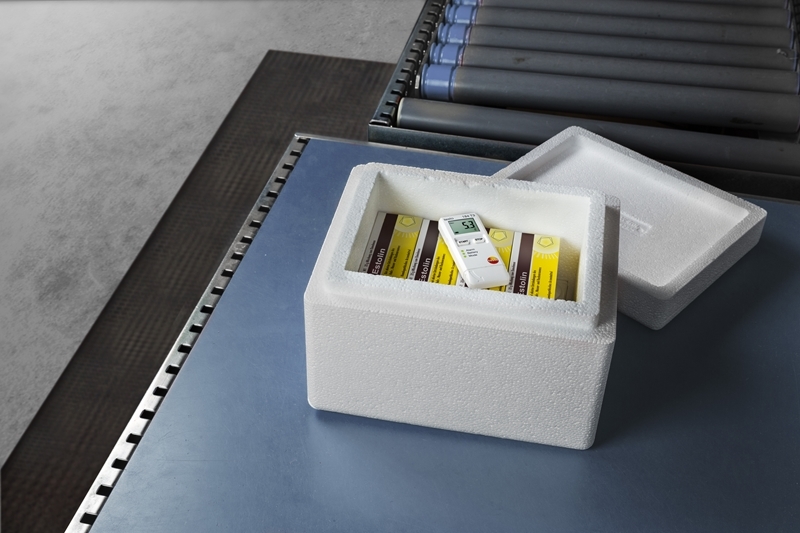 The testo Saveris monitoring system is ideal for both storage and transport of pharmaceutical products. This means that at various points in the supply chain, those responsible for the compliance of a product must be able to identify where it has been, the conditions it has been subject to and how that may have impacted the product. To ensure transparency and quality, every part of this chain needs to use the appropriate instrumentation. Manufacturers and wholesalers can benefit greatly from a centralised database that logs information about the conditions in which pharmaceutical products are transported or stored. With no manual data transcription or reconciliation between isolated parties, this centralised approach can deliver certainty and transparency as to the end product’s quality. The testo Saveris data monitoring system is an ideal method of centralising supply chain data. 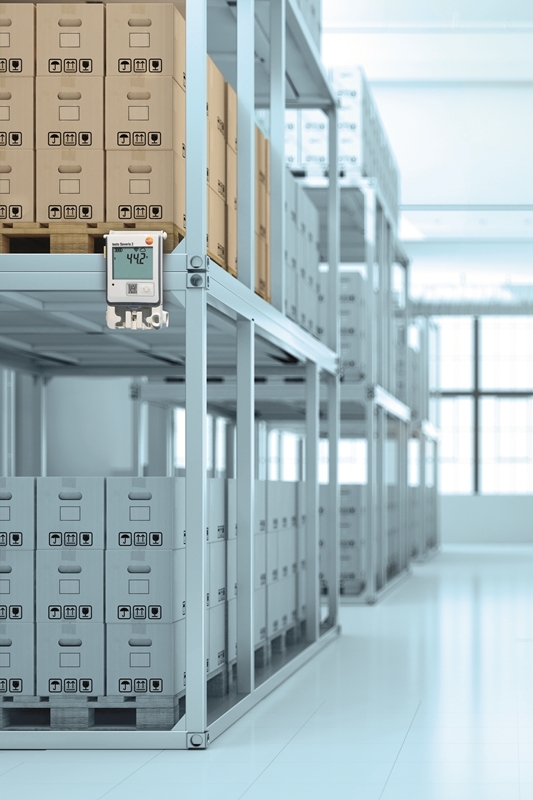 This uses our state-of-the-art measuring instrumentation to deliver highly accurate readings on temperature and humidity in any transport or storage situation. The system can aggregate up to 150 different instruments’ information, transmitting data to the Testo Cloud and centralising information about a pharmaceutical product’s entire journey, from manufacturer to end user. 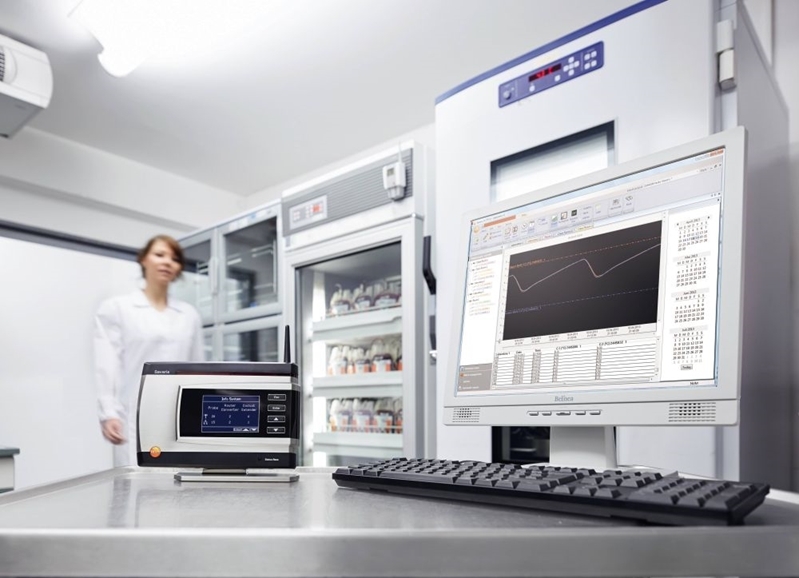 Use the testo Saveris monitoring system for all your pharmaceutical supply chain needs. Beyond the supply chain itself, operators can apply the testo Saveris system in research and development, hospital and laboratory environments to the same end. From control samples to experimental storage, you get the big picture on your data with minimal room for error. The centralised approach also means pharmaceutical operators can conduct meaningful analysis of the data, identifying inefficiencies and success stories no matter where they are in the supply chain. While the centralised approach is an appealing one, the results are irrelevant if operators use poor quality technology to measure humidity or temperature. Measuring solutions should be able to connect to the database, integrate easily and deliver information in an easily digestible format. The testo 184 T1 delivers on all fronts. A simple LED presentation notifies operators of any breaches to configured limits, while the instrument can also log up to 16,000 different values. From this point, the testo 104 T1 can transmit accurate data to a PC or database in PDF format, and even mobile printing device via a near field communication system. The testo 184-T1 is ideal for pharmaceutical temperature control. Serial numbers, temperatures, route information, product-specific configurations and any alerts or notifications – it delivers all of this information with just the press of a few buttons. And with GxP, 21 CFR Part 11, HACCP and EN 12830 compliance, the instrument ensures top quality results. In such a globalised and complex supply chain, pharmaceutical operators need automated, accurate and transparent data. When nothing can be left open to error, you need instrumentation that is reliable, easy to use and easily integrated. If you want to take the next step in pharmaceutical supply chain reporting, it’s time to talk to Testo. Previous PostIs Testo’s 557 refrigeration gauge the ideal HVAC instrument?